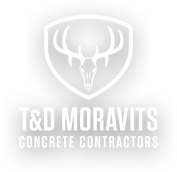 Since our San Antonio start in 1974, T&D Moravits has built a name for quality work and dependability. We're still located here in San Antonio, but we've grown since those early days. By now, our list of clients is a who's who of South Texas builders and general contractors, including Joeris, Bartlett Cocke, Zachry, Rogers-O'Brien, Crane Contracting, LGI Homes, Sitterle Homes and Meritage Homes. As our list of satisfied customers has grown, so has our proficiency. State-of-the-art techniques help us plan and execute projects as efficiently and safely as possible. And we've become not only experts in concrete construction, but true collaborators with our customers, from long before job start to after our successful completion. Over the decades, we've grown our business and upgraded our methods. 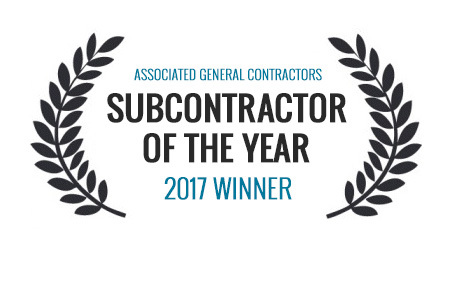 We've collected awards, like AGC Subcontractor of the Year. But some things don't change. Our original work ethic and commitment to honest dealing are here to stay. Bill brings over 35 years of experience in the construction industry, including field labor, supervision, project management and executive leadership. 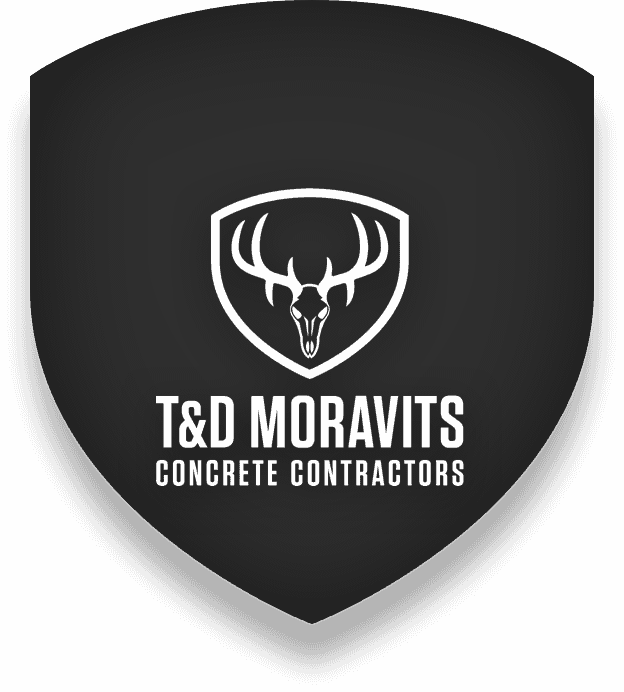 As T&D Moravits' President and Chief Operating Officer, Bill oversees the operations of all three divisions and has daily oversight over company strategy, goals, and performance. Just as important, Bill pushes a company culture of Safety, fair dealing, passion for quality, and individual responsibility. With nearly two decades of construction experience under his belt, Brian brings a comprehensive understanding of construction trades and a keen talent for project planning and scheduling to every T&D Moravits project. His strong background in managing even the most complex construction projects helps keep all work on time, too. His many commendations, including several Zachry Project Manager of the Year awards and inclusion in the San Antonio Business Journal's 40 Under 40 list, show his substantial capabilities. Frank has served as an integral part of T&D Moravits since its inception in 1974. His knowledge and expertise in concrete construction have made him a well-known and highly valued resource in the San Antonio market, and his history of honest dealing makes him the all-around go-to professional for any local construction matters. Lee Evans owned his own concrete contracting company for almost 20 years before moving to T&D Moravits in 1999. As general manager of our multi-family division since 2008, Lee oversees the multi-family bid calendar and project operations. Day-in and day-out, Lee focuses on quality workmanship and strong relationships with clients and fellow employees. Sean brings almost 25 years of construction management experience to T&D Moravits. He oversees all Residential Division office and field operations, and has supervised the completion of over 6,500 residential slabs and flatwork projects for both tract and custom builders. By maintaining close relationships with purchasing and estimating personnel, Sean accurately estimates and prices all new residential work, and negotiates pricing with vendors and subcontractors. And as our person in charge of customer support, warranties, and repairs, he makes sure our customers are 100% satisfied. Yvette began her career with T&D Moravits in 2002 as a project coordinator and has risen to become the senior estimator and project manager in our commercial division. In her role, she's responsible for overseeing the division's bid calendar and operations schedule. Yvette brings a clear-eyed appreciation for a project's diversity and complexity to each opportunity she engages. As T&D Moravits' safety director, Justin oversees implementation and execution of our safety policies to manage risks and comply with OSHA standards. Justin combines a passion for safety with 20 years of construction industry experience to lead our standard-setting safety program by building a culture of Safety that encompasses every Division at T&D Moravits. He also contributes to the larger construction safety community as the 2018 Safety Committee Chairman for the San Antonio Chapter of the Associated General Contractors of America (AGC).. He's also an OSHA Certified Safety & Health Official (CSHO), as well as a member of the American Society of Safety Engineers (ASSE). Kathy has been with T&D Moravits for nearly 20 years. As our Office Manager, her responsibilities include daily personnel operations and payroll, banking and financial reporting, support to all of T&D Moravits staff and generally keeps the rest of us in line.